You’ve decided to buy a home, the next step is determining how you will finance the purchase. Unless you are paying cash, you will be working with a lender to finance your home. Whether you are a first time homebuyer or have purchased before, lending guidelines continually change and the process can seem overwhelming. As you begin, be prepared to have an open discussion with your lender. They will have a lot of questions and will need your financial information, work history and a lot of documentation. 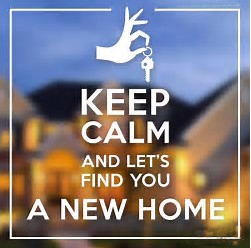 We often tell our clients that “Lending is an Extreme Sport and we may need a doctor’s release.” Don’t get discouraged, it will all be worth it when you get the keys to your new home. Here’s what to expect. As you move through the process you will work with a variety of people through four basic phases: 1) Pre-Qualification, 2) Processing, 3} Underwriting and 4) Closing. You first step is to talk with a lender to obtain a lender prequalification before starting your home search. You want to know if your credit is where it needs to be to purchase a home. You also want to know your Maximum Purchasing Power and then you want to know the amount you can finance to keep your payment at your Comfort Level. What’s the difference? Your maximum purchasing power is the full amount a lender is able to loan you based on your debt to income ratio. Your comfort level, which equates to your monthly payment amount including principle, interest, taxes and insurance, may be well below your maximum purchasing power. It’s important to know both just in case you find a home that you fall in love with that is a little outside your comfort zone but still well within your ability to purchase according to a lender. The first person you will work with at a bank, credit union or mortgage company is a Loan Originator. This is usually the person who obtains your preliminary information and determines you are a viable candidate for one of their loan programs. You will begin by completing the application process online through their secure web portal. Once they obtain your basic information and have your permission to access your credit history, they can generally let you know in a short time what programs you might benefit from. If your credit score is within range and your debt to income ratio meets lender guidelines, the lender will be able to provide your Realtor a Prequalification Form to allow you to find your dream home and submit an offer to the seller. Not every lender can offer the same loan programs. You may start with one, only to learn that another lender has a different program that might meet your specific needs better. It’s okay to shop lenders before you are under contract but once you are under contract, it is usually better not to change lenders because of the time constraints in the contract and it may require approval by the seller and an addendum to the contract. Unless you have an established relationship with a lender, your Realtor can usually give some recommendations of lenders who offer great programs and are successful in helping people achieve their goal. Once your offer on your dream home has been accepted, you are under contract and the clock begins to tick. The loan originator hands the file to their loan processing department. The processor is responsible for obtaining and organizing the multitude of documents you will be providing. They must also make sure that you provide the documents timely according to the contracted dates. Typically the loan process takes 30 to 45 days. In order to stay on schedule, the lender will need your cooperation to obtain needed documentation from you as quickly as possible. Federal Lending Guidelines also dictate how and when a lender must issue mandated documents such as the initial Loan Estimate which provides you with a full analysis of the loan details. Be prepared for your documentation requirements and be sure to keep your original copies. Lenders prefer that you send them scanned documents by email, but can accept legible faxed copies. Save everything you send to the lender and try to keep your files organized. Often, the lender will need another copy of something you know you’ve already provided. While this is just a glance at some of the needed documents, you begin to see the necessity of good organizational skills. Bear in mind the request is for all borrower’s information so if you are buying with another person, your paperwork will increase. 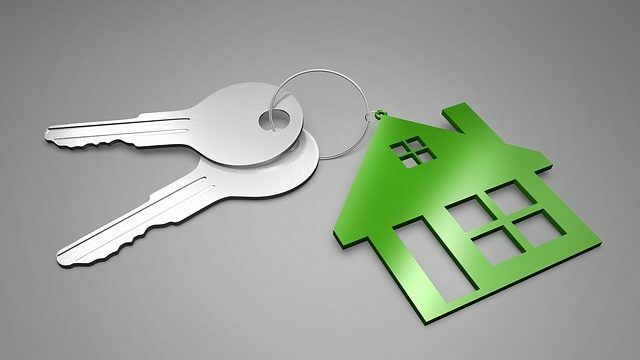 While you are in the process of qualifying and purchasing a home, the best course of action is to not buy anything until you get the keys to your home. Don’t let anyone pull your credit and don’t sign up for the perfect bedroom suite for your new home even if they offer you no payments for 36 months. The lender will see that credit pull and the new debt will be taken into consideration which could jeopardize your ability to receive final loan approval. 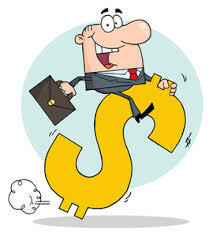 It is a good idea to remain very stable in your finances and your job during the loan process. If something unexpected arises, consult your lender before you do anything financially. Your goal is to buy a home, you don’t want to accidently do something to prevent your success. DO NOT change jobs. A job change might stop the whole process. DO NOT let anyone except your lender pull your credit. DO NOT deposit or withdraw sums of cash. If you win the lottery, call your lender. DO NOT accept gift funds unless your lender knows the source and ensures the giver meets lender guidelines. Lenders must source all funds into and out of your bank account. 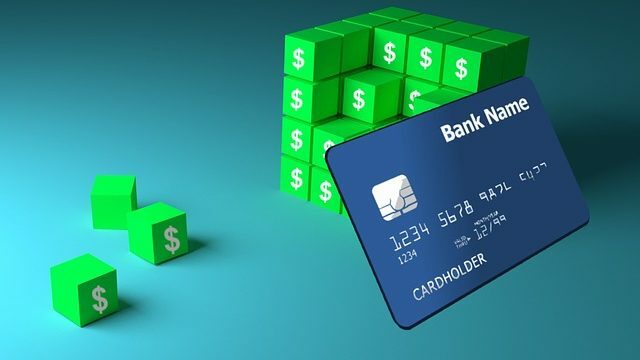 When you write a check or withdraw funds from your account to place the earnest deposit on a home, the lender will want to see a copy of your bank account showing that the funds were already in your account and available, then they will want to confirm that it was paid out of the same account. Lenders do not like you to make abnormal cash deposits or withdrawals while you are applying for a home loan. A good example occurred with one of our clients. The buyer’s father was excited to learn his son was finally buying his first home. Having planned to help with the down payment, the father went to his savings and gave his son $2,500. It turns out the father’s savings was in a coffee can he kept in his freezer, truly the description of cold hard cash. Prior to closing, the lender called the buyer stating he was having a problem sourcing the $2,500 cash deposit. The buyer explained the source of the funds but, because it involved cash, the buyer had to withdraw the money from his account, return it to his father and his father had to deposit it into his bank and then wire transfer it to his son. This may seem unreasonable to us but a lender has to abide by stringent federal lending regulations. Once the loan processor has everything they need and determine you have met their guidelines your file will be final reviewed by the Loan Originator and then submitted to the Underwriter. The Underwriter makes the final approval decision and notifies the Originator that you have met the qualifications to receive the funds needed to purchase your home, or that you may need to provide some additional information. Your first thought at this point is they can’t possibly need anything else. You may feel like you’ve already given them your complete life history. Take a deep breath, you’re almost at the finish line. Normally, underwriting conditions are easily overcome and it won’t delay your closing. Just realize these things can happen and it is beyond the control of your lender or your Realtor. Following final Underwriting Approval, your file will be sent to the lender’s Closing Department. They will provide you with a document called the Closing Disclosure (CD). It is important that you sign it and return it promptly so that your closing documents can be prepared on time. The closing department will work with the Title Company to prepare the loan documents for your signature. This appointment usually occurs 2 – 3 days before the day of closing. After the loan documents are signed, the title company and the lender review them, then once approved, the lender will wire transfer the funds to the title company bank account. This must happen before 2 p.m. in order to meet the bank’s deadline. Once the title company receives notification that the wire transfer is complete, they notify the county clerk’s office to record the deed in your name. Upon completion, the title company will notify you and your Realtor will be able to release the keys to you. Congratulations, you are now a happy homeowner! While all this is happening, you and your Realtor have been busy with inspections, appraisals, planning and packing. 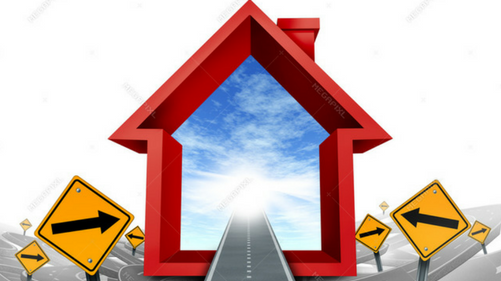 Although you may feel like you’ve been through an obstacle course, just know that it is all part of the journey to home ownership. Often, when we deliver keys to the home we remind our buyers that we advised them up front, “Lending is an Extreme Sport, we may need a doctor’s release.” We all have a good laugh, with a sigh of relief, knowing it was worth all the effort. The Lang Group is a team of residential Realtors serving the Phoenix Metro Area, affiliated with HomeSmart and part of the Elite Group of HomeSmart agents. They have successfully navigated the lending process with hundreds of clients, providing years of knowledge and experience. Their specialties include buyer representation in New Home Sales, First-Time Buyers and Credit Challenged Buyers. They also apply their skills when representing Sellers. Their motto “When Experience Matters” carries through to their many satisfied clients. 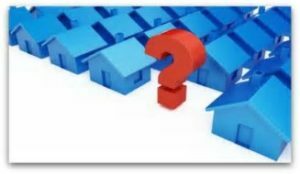 Why do I need a Realtor to Buy a Home – can’t I just shop online? You may be wondering "why do I need a REALTOR® to buy a home when I have access to view so many properties on the internet." While 84% of millennial home buyers, first time home buyers and even experienced home buyers start their search on the internet, 90% of them worked with a REALTOR® to complete their purchase. Consumer sites like Zillow.com have created access to online data regarding homes for sale across the world. While that information can be extensive, it is not always accurate. The home you saw on a real estate search site is generally there because it is first listed on the local Multiple Listing Service (MLS) and was placed on the search site by the Seller’s Agent. In real estate transactions, the Seller’s Agent represents the Seller, meaning they have a fiduciary responsibility to get the Seller the best deal they can. Think about that for a moment. If you were a defendant in a lawsuit (the person being sued), would you want the plaintiff’s attorney (the attorney of the person suing you) to also represent you in the same lawsuit? Of course not. Similarly, when buying a home, you need your own representation, a Buyer’s Agent, to make sure your needs are prioritized, and YOU get the best deal. Since buying a home will likely be the largest single financial transaction of your life, you should have your own REALTOR® help you through the process. Would I save money if I choose not to use a REALTOR®? Not as a rule – here’s why. When a seller decides to place their house on the market and they employ a REALTOR® (the Listing Agent) to represent them, they enter into a contract with the agent called a Listing Agreement which stipulates the fee the seller will pay the agent when the home closes. The Listing Agent then may agree to share their fee with a Buyer’s Agent and advertise that information in the MLS Listing. When your REALTOR® submits your offer to the Listing Agent, the shared commission agreement becomes a binding contract between the two REALTORS®. Since the seller agreed to pay the Listing Agent a specific fee, that fee will be paid to the Listing Agent whether you use a REALTOR® to represent you or not. The services of a Buyer's Agent are paid for by the Seller and their Listing Agent. A buyer is not required to pay a REALTOR® for their service. This is also true for new home buyers purchasing new construction homes, the sales agent in the office represents the Seller, you need a Buyer's Agent to represent your interests. 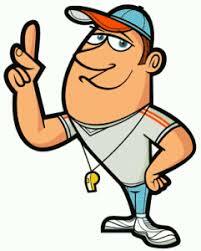 Your Trainer: Your REALTOR® will listen very carefully to your goals. 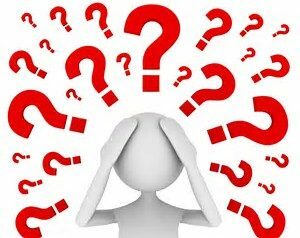 They will ask you lots of questions to refine your goals and will educate you about the process you are about to go through. They will help you prepare and provide the information that you will need to achieve success with the purchase, the negotiation, the title and lending process, the inspection and appraisal to ultimately get you the keys to your home. Your Financial Coach: Your REALTOR® will try to determine if your goals are achievable. Can you really buy your dream home and stay within your budget? Will you need a specialty loan program to assist with your down payment or closing costs? Do you have the cash reserves to enter into a real estate transaction? Do you have the credit scores to obtain financing? Do you qualify for veteran benefits? Based on your financial needs, your REALTOR® can recommend a reputable lender to help you qualify to purchase your new home. 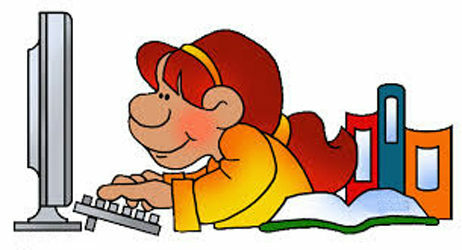 Your Research Assistant: There are a lot of internet real estate search sites that provide you access to homes for sale, but they are not always accurate or up to date. In addition, when you use these sites and find a property that you want to see, you will likely receive calls from up to 10 different agents as these public sites all sell your information to multiple agents. Any agent can show you any property, so you should choose only one REALTOR® to work with for all properties. The REALTOR® you select will become your Buyer’s Agent. They will have access to all local listings and can filter the search to screen for properties that only meet your criteria in a way not available on consumer search sites. They can provide you a list of properties that best satisfy your needs…features, location, commute distance, school districts, neighborhood amenities, etc. They can save you the frustration of falling in love with a home that is already under contract. They will set up the showing appointments for homes you like that are actually available. Whether you are a millennial home buyer, first time buyer or have purchased several homes, your time is valuable, let your REALTOR® do the leg work. Your Guidance Counselor: Now that you have had a chance to see some great property options you may feel overwhelmed with your choices. Be willing to discuss your desires and concerns with your REALTOR®. They have been with you in every home visit and gauged your reactions. They probably even asked you to rank each home, so they can assist in sorting out your options. They are in a good position to give you feedback as to comparable sales in the area and a strategy for getting you ready to submit an offer. Your Chief Negotiator: You have narrowed your selection and after careful consideration and discussion with the family, you have decided to submit an offer on the perfect home. Since your REALTOR® is already familiar with your budget and goals, coupled with the fact that they have worked closely with your lender during the selection process, they will be able to assist you in preparing an offer that best suits your needs. Do you need seller assistance with your closing costs? Do you want to ask the seller to leave some appliances? Let your REALTOR® know everything that is important to you to make your offer realistic and achieve your goals. 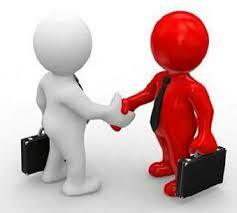 They are trained in negotiation and have a fiduciary responsibility to get you the best deal. Your Emotional Stabilizer: From the property search to the closing appointment and everything in between, you may find the process to be an emotionally charged experience and this certainly is an important reason you need a REALTOR® to buy a home. There are specific milestones that must work in sequence so good communication and planning with your REALTOR® is important. Some jokingly suggest the lending portion is an “extreme sport” and you will need a doctor’s release to complete the transaction. During the time it takes to complete the purchase process, frustration can occur. Just talk to your REALTOR® and let them help you work through any issues or concerns. They have been there many times and usually have experienced the same situation with another client. You and your REALTOR® have a set of goals and the seller and their REALTOR® have another. Offers and contract negotiations can become stressful at times but don’t let it become personal. Keep your goals in mind. You love the home and can’t wait to move in. Things do work out and your REALTOR® has a way of smoothing out the bumps. Your Inspection Advisor: Your REALTOR® will have recommendations for several highly qualified, reliable inspectors and related vendors to assist you. Regardless of who you work with, your REALTOR® will have had experience with a variety of home inspectors, pool contractors, roofing contractors, painters, landscapers and others so they can assist you in evaluating any of the inspector’s findings. If the contract provides you the ability to address any repair concerns with the seller, your REALTOR® can make suggestions as to what items should be corrected prior to your occupancy to ensure your safety. Your Rules Consultant: Every purchase contract is a bi-lateral agreement that contains a variety of time sensitive events that must be adhered to by both parties.Whether you are a millennial home buyer, a first time home buyer or a seasoned pro, you need a REALTOR® who knows the details of the contract and will make sure you abide by the terms and conditions and meet all deadlines. They will also monitor and ensure the seller performs their responsibilities, and, if there is breach of contract by the seller, your REALTOR® will know what steps to take to protect you in the transaction. 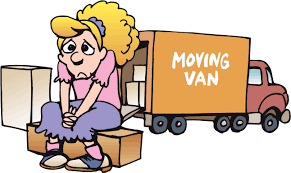 Your Relocation Coordinator: You found the perfect home, you negotiated a great deal and you are ready to start packing and lining up the movers. You should discuss your plans with your REALTOR® before you lock in any dates. Would anything in the inspection or appraisal process cause a delay? Has your lender encountered any paperwork issues that would delay your loan approval and affect your move-in date? Your REALTOR® can help you identify some specific benchmarks that will keep you on track or allow you to be prepared to make last minute adjustments. Your After-Market Resource: You just unloaded the last box off the truck and you can’t wait to get the furniture arranged and the décor just right. You notice that one of the ceiling fans that was working during the final walk through has stopped working. You know you have a home warranty for such things, but that paperwork is still buried in one of the boxes. What to do? Call your REALTOR®! They are happy to assist you with a variety of questions and concerns after closing. They would love to hear from you and assist you whenever they can. Allow them to be an on-going resource for years to come. NOTE: A Real Estate Agent is licensed by the state to represent parties in the transfer of property. Every REALTOR® is a real estate agent, but not every real estate agent is a professional REALTOR®. REALTORS® are members of the National Association of Realtors and the name itself is trademarked by the Association. They are bound by a strict 17 Article Code of Ethics, belong to state and local Boards and have a wealth of resources at their disposal, including the Multiple Listing Service and continuing education programs. You have a choice of which REALTOR® you want to work with, however you should only work with one at a time. Your REALTOR® will dedicate their time and attention specifically to you to ensure you get the best service possible and only ask that you do the same. Pick the one you feel is the best for you and let them do their job. 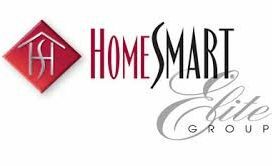 DeWitt & Sharon Lang are Associate Brokers with HomeSmart Elite Group in Arizona. They are Team Leaders of the Lang Group who specialize in representing Buyers and Sellers of Residential Real Estate. They have years of experience in assisting their clients successfully navigate the home buying and selling process. Their motto is “When Experience Matters.” They can be contacted at 602.796.9060 or on their website at www.azhomeonline.net. Should I Buy a New Construction Home or a Resale Home? 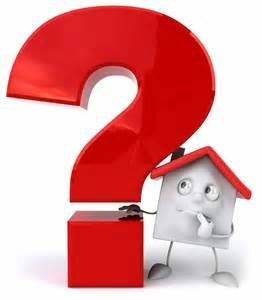 Are you trying to decide whether to buy a new construction home or a resale home? While it depends on your specific goals and needs, there are advantages to both. Consider these 4 reasons before deciding which is right for you. Customization: If you want to be creative, need specific floor plans or want certain design features and colors personalized to your tastes, then purchasing a new home might be the right choice for you. Many production or semi-custom home builders allow for some customization by the buyer. Those may include structural options like deciding whether a space is better utilized by your family as an office or an extra bedroom. You may want to add a guest room or casita to accommodate guests or extended family living needs. You may want a larger back patio or an extra garage space. You also have the ability when purchasing a new home to select your flooring, cabinets, counter tops, whether you want a gourmet kitchen or large island, paint colors, lighting, faucets, fixtures, media, security and electrical needs. Buying a new home helps you personalize the home to fit your lifestyle and design preferences, while controlling your budget. Personalization is a big incentive for new home buyers. Energy Efficiency: Newly built homes must adhere to current building codes and meet higher minimum energy efficiency standards than homes built in the past. Advancements in building techniques, technology and materials for roofing, windows, sealants, insulation, appliances, etc. will work synergistically to produce a more comfortable, energy efficient home which will save you money on your monthly utility bills. Warranty and Maintenance: New construction homes are required to pass several inspections by the builder and the city to insure everything is up to code and able to be permitted to receive a certificate of occupancy. The builder offers a warranty for the home which varies by builder and by item warranted. Usually builders offer a one year “bumper to bumper” warranty on all parts and labor. 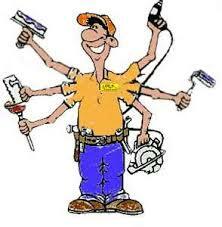 There are extended warranties for structure, roof, air conditioner and heating systems, appliances and workmanship. All in all, the newness should mean less maintenance and give you peace of mind for fewer maintenance concerns, especially for first-time home buyers. Builder Incentives: Builders in new home communities will often offer incentives to help build out the community. Sometimes these incentives come in the form of a credit toward options selected at the design center, keeping your costs lower. Sometimes the incentives include blinds or an appliance package consisting of refrigerator, washer and dryer as these items are not normally included as standard. Builders may offer to pay part of the buyer’s closing costs if they use the builder’s preferred lender. These incentives offer buyers who may be tight on funds get into a home with less money out of their pocket using the builder to pay fees they would normally be responsible to pay. This can often allow a buyer to move forward sooner on a purchase because they don’t have to wait additional time to save more money for the purchase or other down payment assistance. Location: If you want or need to live in a specific area to be close to work or a specific school or certain preferred amenities, a resale home may be your best solution. With new homes you are limited to living where the homes are being built. This usually means an area of town where there is enough land for the builder to build many homes. This is often found in outlying areas where builders can purchase land at a better price point. If you want an urban lifestyle, this may not work for you. Some people do not like the idea of a Homeowners Association (HOA) and sometimes have parking, animal, or other needs that are often prohibited by HOA rules. Most new home communities have homeowner associations serving them, so a resale home may be your best option. Floorplan and Style: If you like a certain style or homes with “character” or historic appeal, you are probably best suited for a resale home. Unless you are building a complete custom home, new home builders in master planned communities have established and permitted styles and floorplans. You generally are unable to move walls or do any customization that is not already an approved and permitted option offered by the builder. Landscaping: If you have your heart set on a pool a resale home may be a better choice for you. If you are financing, not all builders or lender programs, allow pools to be included during the construction of the home. Appraisers generally do not give a pool full value for what you paid so buying a home that already has a pool may save you some money. If you like large trees, established flower beds or greenery, even well-designed desert landscaping, and don’t want to wait for it to grow, a resale home with mature landscaping may be your best option. When purchasing a new home, generally a front landscaping package is included but often, the backyard will be just dirt, a blank canvas waiting for your creativity and wallet to complete. Short Time Frame: If you have to move quickly, a resale home may be the best option. While builders sometimes have “spec” homes in inventory that can be completed and occupied within 30 – 60 days, more often you will have to wait to build, a project that will generally take 4 – 9 months from start to finish, depending on the builder and location. When you begin your home search it is a good idea to first meet with your real estate agent and discuss your needs and goals. Your agent will be very valuable in helping you determine whether a new construction home or a resale home will be the best option for you and your family. Have you been renting, thinking you should save a huge down payment to buy a home? Are you finding it difficult to save enough money, watching as interest rates remain low while home prices continue to rise? You may be surprised to learn that it can be less cash out of pocket to purchase a home rather than renting a house or an apartment. You may be able to purchase a home NOW, using a down payment assistance program or grant. When you finance the purchase of a home, there is a minimum down payment required as well as closing costs. The down payment assistance programs that are available generally offer you funds to cover all your down payment and a portion of your closing costs. Your REALTOR® should be able to recommend a strategy to negotiate with the seller to pay all or a portion of the remaining closing costs. This applies to new home buyers too! There are a variety of down payment assistance programs available, regardless of whether you’re a first-time home buyer or have gone through the process before. Some programs are funded by city or county government grants so you must purchase within certain boundaries. These programs offer a percentage of the purchase price to be used for down payment and closing costs. Some programs are lender specific and lenders must qualify with the providers to offer the grants, so not all lenders offer the same down payment assistance programs. Each down payment assistance program has different guidelines for borrowers to qualify as well so you may need to speak with multiple lenders to find one that has a program to help you. If you have served in the military, you may be eligible to qualify for a Veterans Administration Loan. The VA Loan program provides for 100% financing and is available in any location. While there is no down payment required there are some closing costs which your REALTOR® may be able to negotiate with the seller. VA loans provide some of the best benefits available. U S Department of Agriculture (USDA) Loans also are considered 100% financing. These loans are location sensitive and the USDA provides an easy to use map feature on their website so you can determine if an address is in an eligible area. Similar to a VA Loan, while there is no down payment, there are closing costs which will need to be paid or negotiated. Since there is such a variety of down payment programs available you are well advised to begin by discussing your needs and goals with a REALTOR® experienced in helping buyers who have used these down payment assistance programs and can assist you by connecting you with some lenders who offer the programs that will most likely help you achieve your specific goals. You should select the lender with the best program to accommodate your needs. Make sure you understand the terms of the loan program including the borrower obligations or any circumstances that could affect you over the life of the loan. Do I Need a REALTOR® to Buy a New Home? Many people ask this question and are surprised to hear that the answer is yes, if you want your interests to be protected when you buy a new home. The builder does not require you to work with a REALTOR®, but since there is NO CHARGE to the buyer for REALTOR® representation, why would you consider purchasing a new home without an experienced, knowledgeable agent working on your behalf? Similar to the question, “Should I have an attorney represent me in court?”, the answer is why would you assume the risk of representing yourself with one of the largest financial purchases you may ever make. A REALTOR® is your advocate. Can’t the Builder’s Sales Agent Help Me? They can. However, when you enter a new home sales center and are greeted by the builder’s sales agent, remember that person is employed by and represents the builder, and has an obligation to get the best deal for their employer. That does not mean they will intentionally take advantage of you, but they may not work on your behalf to get you the best deal. 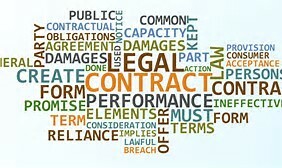 Builder contracts are created by lawyers employed by the builder. You need a REALTOR® to help you understand your contractual obligations, advise you with decisions and inspections, negotiate with your interests in mind, make sure you and the builder meet contractual terms, and guide you through the process with the builder, lender and title company in a timely manner, protecting you each step of the way. Similar to representing yourself in court, if you are unfamiliar with the process, why take the risk? It’s a very good idea to work with a REALTOR® to buy a new home! What if I Just Want to Look Around First? Maybe you just want to just stop by a new home sales center to take a quick look around, check out floor plans and prices and visit the model homes. 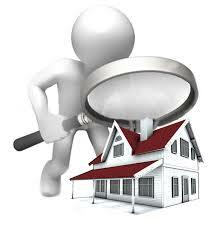 You are just beginning your search and aren’t sure what area, subdivision or type of house you may want. In your mind, you are just looking and may not want to “waste” the time of a REALTOR® until you are further in the process. You might be a first time home buyer and just want to see what is out there. In Arizona and many other states, all the builders place a sign on the door entering the sales center that reads something like, “If you are working with a REALTOR® they must accompany you on your first visit to this community.” They believe that notice provides you with notification that once you enter the sales office without your REALTOR® the builder can claim to be “procuring cause”, a real estate term which means the builder made you aware of the product first and you are now their customer, without REALTOR® representation. According to the builder rules, since your REALTOR® was not with you at your initial visit, they would not acknowledge them as procuring cause at that community. This is true even if you didn’t sign a registration with the builder, if they remember you, hand you any information or answer any questions, the same rule applies. A REALTOR® can be a valuable asset throughout the process and wants to be with you even in the “just looking” stage. As you interview REALTORS® be sure to ask if they are REALTORS® experienced in new home sales to ensure your best outcome. A REALTOR® who has new home sales experience will be familiar with the builders, subdivisions and floor plans that will be in your budget and meet your desired features. They can save you time and money finding the best home and builder. They’ll know the right questions to ask on your behalf and what builder incentives might be available from each builder, incentives that you would not know were available on your own. Can I Save Money if I Don’t Use a REALTOR®? No, REALTOR® Services are FREE to you as a BUYER. All builders price their homes to include compensation for a real estate broker in the base price of the home. They do NOT discount the price of the home if you come without your REALTOR®, it just improves their bottom line. In fact, you may spend more money without a REALTOR® because a REALTOR® experienced in new home sales knows when and where a builder may be willing to negotiate and can often secure savings or additional incentives for you. A builder recognizes the value that a REALTOR® brings as they become the liaison between the builder and the buyer and can help facilitate communication and processes. Why would you choose to purchase without an experienced agent on your team? A home purchase is one of the largest financial transactions you may ever experience. Constructing a new home can be a way to get everything you desire in your home. A REALTOR® familiar with new home sales can help insure your new home purchase is as stress free and enjoyable as possible. If you are considering a new home purchase call your REALTOR® first. The first step in buying a home is to obtain a lender prequalification. First time homebuyers should be prepared to have their loan originator investigate their credit worthiness as every loan program has minimum FICO requirements. FICO is a software company based in San Jose, California. It was founded in 1956 as Fair, Isaac and Company. Its founders were an engineer, William Fair, and a mathematician, Earl Isaac. Together they created a method to measure a consumer credit risk known as your FICO Score. The FICO Score has become one of the most accepted methods used by U.S. lenders and credit companies. FICO is now a publicly traded company on the New York Stock Exchange. How are my scores measured? The rating system determines your credit worthiness based on a number as low as 300 to as high as 850. The higher the number, the lower credit risk you appear to the creditor. Most home loan programs require a score in the range of 580 to 640 for government insured loans but conventional products might require a score above 680. 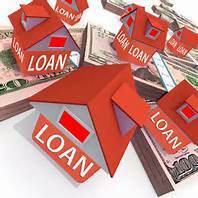 You can consult a lender for more specific information. How are my scores reported? Most U.S. consumer credit information is collected and kept by at least three credit reporting agencies. Those are Experian, Equifax and TransUnion. When you borrow money from a bank or use a credit card the creditor files a report with the credit reporting agencies as to how you have handled your credit. Did you pay on-time? Did you pay the amount due? Did you borrow up to your maximum credit limit? A variety of other data is also taken into consideration. All of your credit information is analyzed and reported by the credit reporting agencies to any creditor who wants to purchase that information. 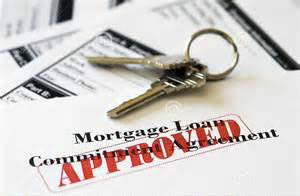 Mortgage lenders are a primary user of these credit reporting agencies and rely heavily upon the information provided. Credit reporting agencies are regulated with oversight by the Consumer Financial Protection Bureau (CFPB). When you apply for a home loan the first thing the lender asks for is your name, address, social security number and your permission to access your credit history. The lender uses a special software program to connect to the three credit reporting agencies, Experian, Equifax and TransUnion. These three reports merge your low, mid and high FICO scores and the mortgage lenders generally use your mid score as the basis to approve or deny your ability to qualify for a particular type of loan and will help determine your financing options. How can I see my credit history before contacting a lender? Federal law allows you to get a free copy of your credit report every 12 months from each of the three credit reporting agencies. You can get access online at www.annualcreditreport.com. The data provided on the free sites generally do not provide you with a FICO Score but does give you information on your credit history. Many sites charge to report your FICO Score so you should investigate the details of the site providing you the credit history. While the cost is relatively low, there is nothing worse than thinking you are getting free information only to find out a fee is required. Even without a score, your credit history will reveal a lot of information. As a new home buyer, you should pay close attention to any negative information and review that for accuracy. You have the right to challenge the information in your credit history but it may take more than a phone call or a letter to clear up inaccurate information. Consult with your lender before opening a dispute. 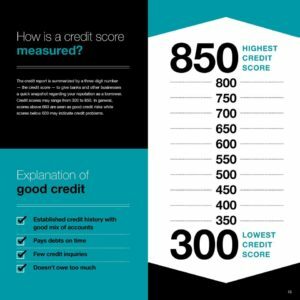 Please note that the scores presented by the free site may not be the same as the lender receives and may reflect a higher FICO than your lender score. This is primarily due to the merging of the three credit reports and the special software program used by the lender. At least you will have some idea of your current credit and will have information to discuss with your lender regarding your credit. Don’t be discouraged if your credit score is under 580, a good lender can make recommendations regarding ways to improve your credit. If you are a first-time homebuyer, need down payment assistance, have credit challenges due to foreclosure, bankruptcy, student loans, medical bills, give us a call. 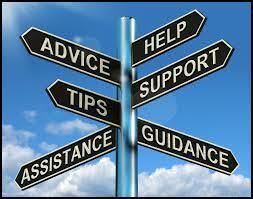 We have lenders who have programs that may be able to help you. Together, as a team, we can work toward achieving your goal of buying a home!